MADISON, Wis. — In April, when Dane County joined the dozens of Wisconsin counties suing pharmaceutical manufacturers of painkillers, civic leaders laid out the deep and wide damage caused by the opioid epidemic. “What’s the explanation for the Wisconsin death rate at twice the rate of Iowa and Minnesota?…Why is the Wisconsin rate so much higher? The answer in my view is that the UW took the Purdue money,” Hefty said. “The opioid epidemic has taken a tremendous toll on our community, in lost lives, families hurt and taxpayers shouldering the tremendous cost of trying to manage this growing crisis,” Dane County Executive Joe Parisi stated in a press release announcing the federal lawsuit. Each of Wisconsin’s 72 counties can attest to the merciless plague of opioids addiction. So can just about any town, village, or city in the United States. To put the death toll in perspective, opioid overdoses have overtaken vehicle crashes in the ghoulish leading cause of death ranking, according to a new report on preventable deaths from the National Safety Council. As of last month, well over 1,000 lawsuits from every corner of the country had been filed by state and local governments against OxyContin maker Purdue Pharma alone. A spokeswoman for the University of Wisconsin-Madison’s Pain & Policy Study Group (PPSG) vehemently denies the organization has ever promoted inappropriate opioid prescribing, a charge the University of Wisconsin School of Medicine and Public Health has long denied. But a number of medical experts and ethicists who have been fighting for years on the front lines in the battle of opioid addiction say institutions like the UW Pain Group have caused a lot of pain thanks to their cozy relationships with pharmaceutical manufacturers such as Purdue Pharma. PPSG’s relationship with Purdue Pharma became wider public knowledge in 2011, when the Milwaukee Journal Sentinel first reported that the research organization had taken about $2.5 million over a decade from prescription painkiller companies. The brunt of that funding, about $1.6 million between 2000 and 2010, came from Purdue Pharma — a figure a UW official confirmed for MacIver News Service. The funding represented about 20 percent of PPSG’s total funding. 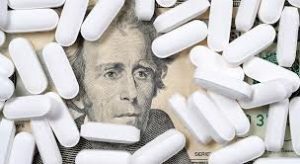 “The money came while the group pushed for what critics say was a pharmaceutical industry agenda not supported by rigorous science: the liberalized use of narcotic painkillers for non-cancer chronic pain,” the newspaper story asserted. Lisa Brunette, spokeswoman for the University of Wisconsin School of Medicine and Public Health, told MacIver News that the funds were in the form of an unrestricted grant. “The UW Pain and Policy Studies Group did not promote inappropriate opioid prescribing,” Brunette wrote in an email response to MacIver News Service’s questions. But research papers published by the UW Pain Group during the period failed to disclose Purdue Pharma’s payments — “unrestricted” as they may have been. Even after PPSG “chose to decline” all industry funding in September 2010 so that it could remain a collaborating center with the World Health Organization, it continued to publish research that raised concerns in the medical community. Critics say that “balance” was tilted in favor of the drug companies profiting from promotional relationships with universities and health care facilities throughout the country. A 2013 final edited study on “Effective Treatment of Debilitating Pain at the Global, Regional, and Country Levels” made the case for the introduction of various painkillers in developing countries. “There are many different factors that can contribute to inadequate pain relief, including practitioners’ understanding of pain and knowledge of effective treatment options, as well as peoples’ willingness or ability to seek medical care. However, pain management in developing countries often is additionally hampered by the lack of available medications for treating pain that is moderate or severe (i.e., potent opioid analgesics such as hydromorphone, morphine, or oxycodone),” the report states. “The guiding principle, present in virtually all PPSG communications, is the idea of balance: that effective pain medicines must be available for those who need them – particularly cancer patients – and that misuse, abuse and diversion must be controlled. PPSG took that position both before and after receiving unrestricted industry support,” Brunette stated. “I don’t really think in Wisconsin what they did would be called research. There’s a difference between research and advocacy and lobbying. They may have published papers in journals that maybe looked like research but it was advocacy,” said Dr. Andrew Kolodny, co-director of Opioid Policy Research at the Heller School for Social Policy and Management at Brandeis University near Boston. “I don’t really think in Wisconsin what they did would be called research. There’s a difference between research and advocacy and lobbying. They may have published papers in journals that maybe looked like research but it was advocacy,” said Dr. Andrew Kolodny. He claims research university organizations like the UW Pain & Policy Studies Group took millions of dollars from pharmaceutical companies and helped persuade the Federation of State Medical Boards and the Joint Commission for Accreditation of HealthCare Organizations, which certifies more than 20,000 hospitals and clinics in the U.S. These organizations are responsible for issuing “best practices” in painkiller prescriptions, and those practices liberalized the use of opioids, Kolodny and others charge. “They (opioid manufacturers and their allies) worked with the Federation of State Medical Boards to promote new policies for state medical boards, policies that told subscribers across the country they will not be sanctioned by medical boards based on the quantity of pills but for under-prescribing,” Kolodny said. Why Did Washington Look Away as the VA Fueled an Opioid Addiction in Our Community? In late 2017, several communities in West Virginia, which holds the dubious distinction of leading the nation in drug overdose deaths, filed a class-action lawsuit against the Joint Commission for Accreditation of HealthCare Organizations. The suit alleges the nonprofit spread “misinformation” about the perils of opioid addiction, using published advocacy research paid for by opioid manufacturers. Gary Franklin, a neurology professor at the University of Washington, told health and medicine publication STAT that the research supporting the original standards was “developed in collaboration with the University of Wisconsin” pain researchers who accepted drug company funding while pushing the industry’s agenda. In their request for information, the senators noted 10 organizations that had received payments from Purdue Pharma. The list included the UW Pain & Policy Study Group. “These people (at the UW Pain Group) were masters level people that weren’t even physicians who were somehow involved in opioid matters, which is dumbfounding,” Franklin, who also serves as vice president of Physicians for Responsible Opioid Prescribing, said last week in an interview with MacIver News Service. The spotlight has been trained on other research universities and hospitals in recent years. A STAT story last month, headlined “Purdue cemented ties with universities and hospitals to expand opioid sales, documents contend,” details cozy and questionable relationships. The story opened with the Pain Center at Massachusetts General Hospital, where Purdue Pharma struck a deal with the Boston hospital to start a pain program. Court documents show the contract allowed Purdue to become intricately involved, including allowing the opioid maker to suggest curriculum for pain education and to appoint a member of the hospital’s Educational Program Committee. While the pain program did publish a study raising concerns about opioid painkillers, in 2009 Purdue paid the hospital $3 million to continue the sponsorship of the Massachusetts General Hospital Purdue Pharma Pain Program. As a result, the company received “access to prescribers, ties to medical students and physician trainees, and political capital at a time when scrutiny of opioid manufacturers was increasing,” STAT reported. Massachusetts General has since dropped Purdue Pharma’s name from the pain center. At Tufts University, the Sackler family, founders of Purdue Pharma, provided money to launch a master’s program in pain research, education and policy, according to court documents. In 2011, Tufts hired a Purdue employee to serve as an adjunct associate professor. But the Massachusetts lawsuit alleges a long pattern of deceit by the company. “In a pamphlet for doctors, Providing Relief, Preventing Abuse: A Reference Guide To Controlled Substance Prescribing Practices, Purdue wrote that addiction ‘is not caused by drugs.’ Instead, Purdue assured doctors that addiction happens when the wrong patients get drugs and abuse them: ‘it is triggered in a susceptible individual by exposure to drugs, most commonly through abuse,’” court documents state. But critics like Tom Hefty point to some disturbing numbers. In 2016, there were 865 opioid-related overdose deaths in Wisconsin — a rate of 15.8 deaths per 100,000 persons — compared to the national death rate of 13.3 deaths per 100,000, according to the National Institute for Drug Abuse. Minnesota recorded 396 opioid-related overdose deaths, or 7.4 deaths per 100,000. Iowa’s rate was 6.2 deaths per 100,000. Hefty is a vocal critic of the Wisconsin Partnership Program, which oversees the $400 million endowment fund for the UW School of Medicine and Public Health. He worked with the state of Wisconsin in the early 2000s in establishing the original $600 million endowment to be shared equally by the UW School of Medicine and Public Health and the Medical College of Wisconsin in Milwaukee. It was the entity’s charitable legacy, central to an agreement that allowed Blue Cross and Blue Shield United of Wisconsin to convert from a non-profit to a for-profit insurance corporation. The Madison fund has grown by more than $100 million over the years. Hefty has been particularly critical of what he sees as UW Public Health’s move away from its core traditional public health mission, including immunizations, combatting teen pregnancy, and opioid addiction, in favor of “community engagement projects” driven by left-leaning activist organizations. Last week, the U.S. Attorneys Office for Wisconsin’s Eastern and Western Districts sent letters warning scores of medical professionals about their opioids prescribing practices. A review of more than 180 doctors, physician assistants and nurse practitioners found the health care providers were issuing opioid painkiller prescriptions at a relatively high level. Prosecutors did not disclose names and the practitioners may not be doing anything illegal or without legitimate reasons, but the letter warns of the addiction dangers surrounding opioids. “We know that for many, addiction began with opioids prescribed by a medical professional,” said U.S. Attorney Krueger. “By sending these letters, we are asking medical professionals to join the fight against addiction and ensure they prescribe no more opioids than are necessary,” Matthew D. Krueger, U.S. Attorney for the Eastern District said in a statement. Justified Questions: Why Is UW Public Health Fund Granting Millions To Liberal Groups? But neither county has noted UW’s previous relationship with Purdue. Parisi said the lawsuit Dane County filed last year is about accountability. “We believe those that have profited also bear responsibility for the damage they have caused,” the county executive said at the time. But what about Dane County’s largest employer, the University of Wisconsin, which took millions of dollars from opioid manufacturers as these companies were, according to lawsuit after lawsuit, pushing their addictive products in hospitals and clinics throughout the Badger State? Kolodny, the opioid policy watchdog, pauses when asked whether he believes university-based organizations like the UW Pain and Policy Studies Group should be held, at least in part, legally responsible for the opioid crisis.